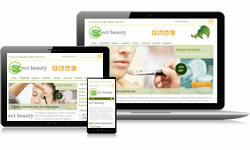 These are Responsive Design layouts - they adapt to the size, resolution and orientation of the viewer’s screen and are already fully integrated with Ecommerce Templates shopping cart software. When you view the design demos, drag the corner of the browser and you'll see the design adapt to the browser window width - this means they'll look great on your home computer, laptop, tablet and smartphone. They can be edited in any HTML or text editor - we have some suggestions for free editors here. They also come with a dwt file so can be easily edited in Dreamweaver or Expression Web. Following purchase you will receive a zip file which includes the design, shopping cart software, png files and the CSS based control panel for managing your store online. 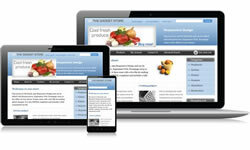 If you are planning on setting up multiple stores, the responsive designs are available in the Developer License. 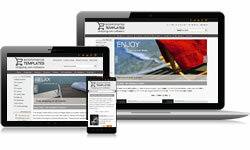 We also offer Premium Responsive Designs. 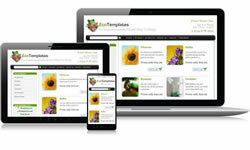 We also have responsive themes available for WordPress.